Prof. Zuckerman will be accepting applications for graduate students for the 2019-20 academic year. Professor Zuckerman works on topics related to psychology of religion, social cognition, nonverbal behavior, and data analysis. However, he is open to interesting ideas and potential work in just about any domain of psychological research. Regarding the psychology of religion, Professor Zuckerman focuses on the concept of religion as an exchange system in which humans do their religious duties and, in return, God "provides and befriends". This concept has various implications for both inter- and intra-individual variations in religiosity that can be investigated empirically. 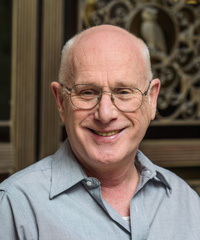 In the realm of social cognition, Professor Zuckerman works on questions related to models of dual-processing (the analytic-intuitive distinction). At present, the topic related to data analysis concerns potential flaws of current statistical procedures that are employed to test the effects of self-enhancement. Finally, in the realm of nonverbal behavior, Professor Zuckerman is interested in the effects of face and voice on interpersonal impressions. At issue is whether the voice or face plus voice produce effects that previously were found only for the face. *McPhetres, M., & Zuckerman, M. (in press). Religiosity predicts negative attitudes toward science and lower levels of science literacy. Plos One. *McPhetres, M., Conway, P., Hughes, J. S., & Zuckerman, M. (2018). Reflecting on God's will: Reflective processing contributes to religious people's deontological dilemma responses. Journal of Experimental Social Psychology, 79, 301-304. Zuckerman, M., *Li, C., & Diener, E. F. (2018). Religion as an exchange system: The interchangeability of God and Government in a provider role. Personality and Social Psychology Bulletin, 44, 1201-1213. *McPhetres, J., & Zuckerman, M. (2017). Religious people endorse different standards of evidence when evaluating religious versus scientific claims. Social Psychological and Personality Science, 8, 1-7. Zuckerman, M., *Li, C., & Diener, E. F. (2017). Societal conditions and the gender difference in well-being: Testing a 3-state model. Personality and Social Psychology Bulletin, 43, 329-336. *Nguyen, T. T., & Zuckerman, M. (2016). The links of God images to women's religiosity and coping with depression: A socialization explanation of Gender difference in religiosity. Journal of Psychology of Religion and Spirituality, 8, 309-317. Zuckerman, M., *Li, C., & Hall, J. A. (2016). When men and women differ in self-esteem and when they don't: A meta-analysis. Journal of Research in Personality, 64, 34-51.